The Killip 90 is a large, strong pulling ram-air aerofoil kite. A stable majestic flyer with its' 82 ft long banner style tail. 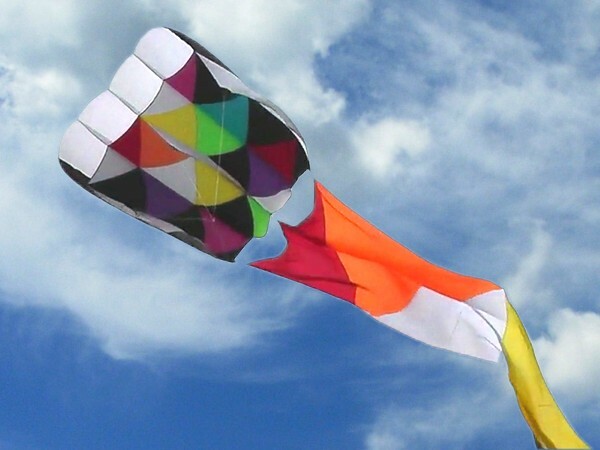 This kite has internal though venting to maintain uniform inflation and trailing edge venting. In light winds the Killip can be flown tail-less. Includes matching 8ft x 82ft Banner Tail and stuff-bag. 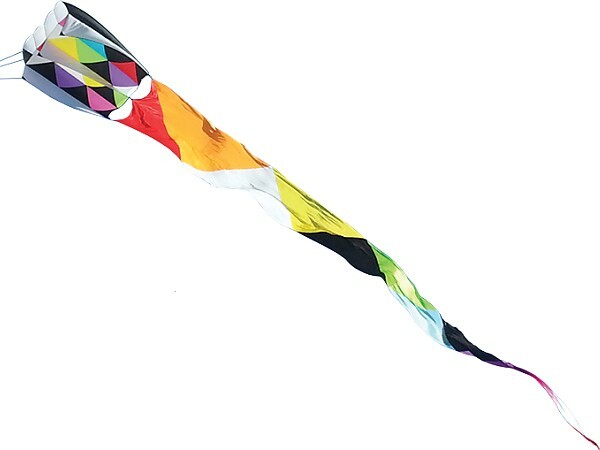 This kite produces considerable pull. 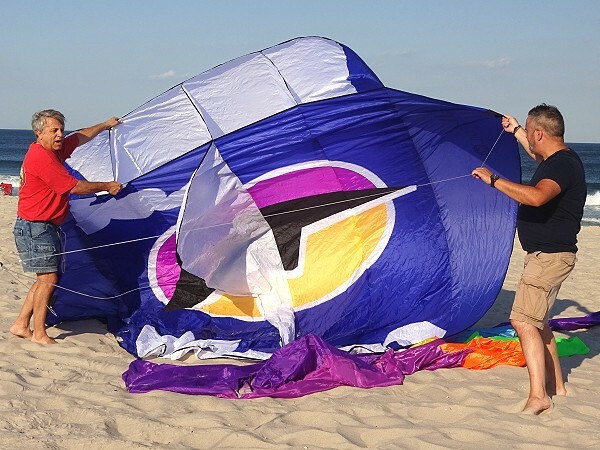 Knowledge and experience of anchoring large kites is required.